Is now official! Aye, Dark Overlord will have a new version… the Green Edition! It would not an expansion but a real and complete basic set that it could be played by itself, or the players could shuffle the cards of the classic basic set, now new named Red Edition – with the Green Edition to double the fun. 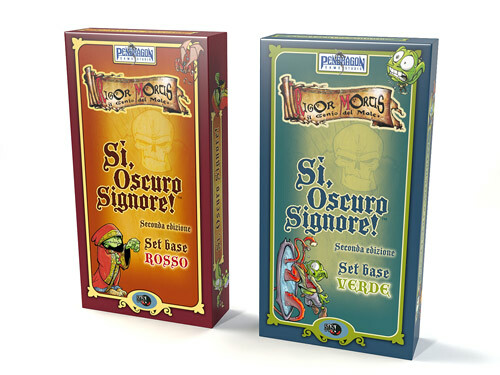 The Green Edition will include some old promo and web cards plus a ton of new cards never released before designed by Riccardo Crosa. The first Green editions will be released in April along the next reprint of the Red Edition. We will soon update on the Green Editions releases in the different languages. Any update on a release date? In english will be released in a couple of months.